The so-called Mini Speedster/Roadster's rumored to be a stripped down, smaller Mini for those complaining the new model is too big and complex (or just too expensive). Proof they're maybe serious? 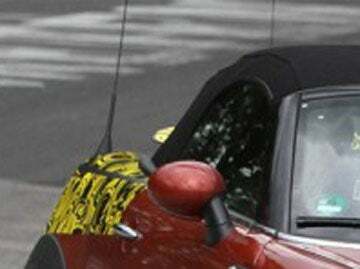 The possibly manual folding roof seen in spy photos.